School students have the whole world of opportunities ahead of them. From Scientists to Engineers to Chartered Accountants to Entrepreneurs to Artists, they can be anything they desire. However, the tremendous amount of options available to them makes the process of choosing a course stream and eventually a career more difficult and more confusing. Most students end up deciding their course streams and careers simply on the basis of what their parents and their friends want to do. Even the ones who think for themselves normally select a career option based on how popular they are as per current trends. What they fail to realize that is that just because a particular option is good for their friends does not in any way mean that it will suit them. As a matter of fact, it might even be leading them towards a career and a lifestyle they will dread. The reality is that each student has a unique personality that can thrive in particular environments and careers, but not so much in others. All you need to do is identify those career options that you will prosper and succeed in, while also ensuring that they meet your interests and desires. This is where a Career Counsellor comes in. A Career Counsellor will understand the student’s personality and study his/her attributes, skills, interests and weaknesses. On the basis of the study, the Career Counsellor will then guide the student towards a particular career, suggesting possible alternatives and options. Usually, students make the first career decision of their lives after they complete the 10th Class, i.e. to choose between the Arts, Science or Commerce streams. This decision effectively narrows down their career options; from having to choose between absolutely diverse options like Writer, Engineer and Manager, they now have to only choose between careers within their stream (that often require similar education and skills) such as Architect or Engineer. Ideally, this decision should be only taken after considering a person’s individual strengths and weaknesses. However, in practicality, this decision is often dominated by peer and parental pressure, or by false notions such as the one which says that the intelligent kids go into the Science stream, the average ones go into the Commerce stream and the rest go into the Arts stream. Not only that, but one must understand that for most students, choosing a stream is itself based on another decision, i.e. choosing a career. In reality, you do not choose the Science stream because you like the subjects it offers, but because choosing that stream helps you move towards a career goal you have already decided on, be it becoming a Doctor, Engineer or an Architect. Therefore it is not enough to decide on a stream, but you should at least have a broad idea about the career you wish to go into before you step into the 11th Class. This isn’t easy. Some students just cannot decide due to the vast amount of options available, whereas some just decide on one career and refuse to explore any other possibility, which effectively limits their outlook. To avoid taking such big decisions for the wrong reasons, it is very important to consult a Career Counsellor at this stage of your life. 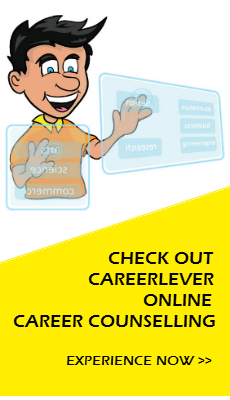 A good Career Counsellor will allow you to understand yourself, your strengths, weaknesses and interests. He/She will suggest careers/streams that will suit your personality type as well as tell you whether you’re suitable for the career plans you already have in mind, if any. Making an informed decision by keeping the suggestions of the Career Counsellor in mind will greatly decrease your chances of having to reconsider it later in life. Students who manage to make informed decisions before they step into the Class 11th find it easier to plan their route to college and eventually their career, including things like knowing which coaching classes to take for their course (C.A, Engineering etc. ), which courses to pursue, focusing on the right subjects, applying for entrance exams in time, targeting the right colleges etc. Additionally, in case things don’t go as per plan, for example, not scoring enough in your 10th for the Science/Commerce stream, or not scoring enough in the 12th for your dream college/course, a Career Counsellor will help you look at alternative solutions that are suitable for you. This can include changing your stream after the 11th class, such as shifting from Science to Commerce, or pursuing a course not related to your stream etc.